Now that one of Hollywood's top beauty secret is out and is available in the Philippines, I guess we don't have an excuses to have that "scary" face - a face full of pimples or acne that push people away from us. And with this latest promo from Proactiv, expect a "treat-ful" Halloween that will give you that beautiful skin and Ferrero Rocher Chocolates! To be honest, I am currently having this pimple breakout, with all those things that just happened in my life, in our family, who can blame me right. Sometimes, how I wish that I just have chocolates to blame for all these pimples, but as just what professionals said, CHOCOLATES HAVE NOTHING TO DO WITH PIMPLES. So the only that I can do now about these yucky things on my face is to treat them - carefully, nicely and magically. Does chocolate cause acne (or make it worse)? No. And we'd like to dispel this myth once and for all! Several studies over the past three decades have failed to find a link between chocolate and acne. In a 1969 study by doctors from the University of Pennsylvania School of Medicine, 65 subjects with moderate acne ate either chocolate bars containing 10 times the amount of chocolate found in a typical bar or otherwise identical bars with no chocolate in them. Test subjects who consumed the excessive amount of chocolate for four weeks didn't show signs of increased acne. I hope this one clears you mind about that chocolate thingy. :-) But if you are still having doubt, well, have your Proactiv with you and with their money-back guarantee, one helluva fun Halloween awaits you. This Trick or Treat Promo runs from October 15 to November 15, 2011 only. Just visit any of the following Proactiv Solution stores and purchase any of the Proactiv kit to avail this promo. Only the first 30 buyers per outlet upon start of promo period can receive these wonderful gifts. Take note too that a customer must sign the Promo Terms and Conditions Agreement Form which will be provided by respective Proactiv Sales Personnel to receive the Free Chocolates. Proactiv kiosks are located in Glorietta 3, Ground Floor - (02) 388-2848, Trinoma, 2nd Floor - (02) 380-3801, Robinsons Galleria, 3rd Floor - (02) 380 5506, Marquee Mall, Ground Floor - 0915-3853103 and at Alphaland Southgate Mall, 2nd Floor - (02) 915-6660. This promo is also available on online and hotline purchases. You can visit Proactiv Online Shopping Cart at http://my.proactiv.com.ph for online transactions or you can have the Proactiv Door to Door Delivery Hotlines via these numbers- 02-729-2222, 1-800-8-729-8888, 1-800-10-889-4444, 0917-801-8888. The free chocolates will be delivered together with the Proactiv Kits to those who will avail this promo via online and hotline. 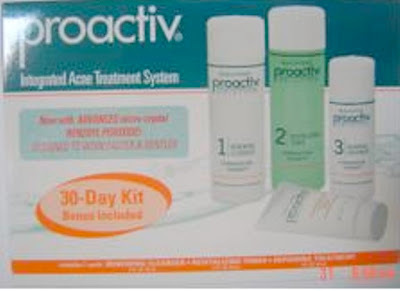 And lastly, just to inform you all, the Freebie is not convertible to cash and or other Proactiv products. And the market value of the Special Halloween Treat – Ferrero Rocher Chocolates by 5’s will be deducted from the refund value, should the customer avail of Proactiv’s Standard Money Back Guarantee. I wanna try this promo and try my luck. Thanks for the info! 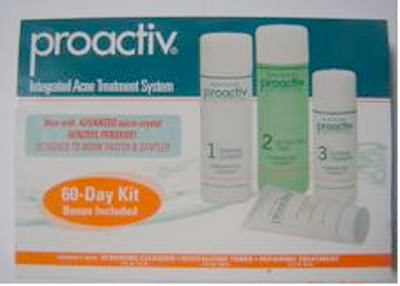 I heard proactiv is really effective. Proactive + Ferrero Rocher Chocolates! I think it's a great deal for people who love chocolates like me! I should have this one soon especially the weather we have madali tayong magka-pimples and facial blemishes dahil na rin sa dumi and not so healthy diet. First I was skeptical, now I feel enlightened. I can eat chocolates without the guilt and still look clean and fresh! nice info about the product!